An overview of what we've achieved so far. 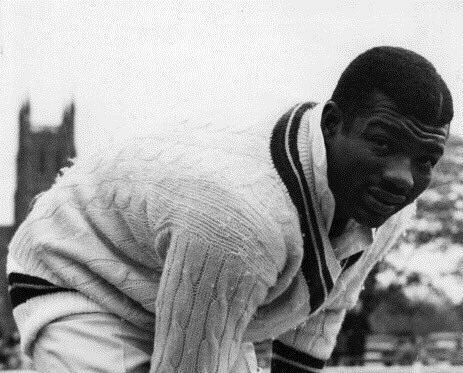 The West Indian international and fast-bowler was Burnley's professional in the mid-60s. In the 1964 season, he took 144 wickets at 5.20. March 16th 1892 - The Lancashire Cricket League was established. Fourteen clubs were members of this first League: Accrington, Bacup, Burnley, Bury Church, Colne, East Lancashire, Enfield, Haslingden, Lowerhouse, Nelson, Ramsbottom, Rawtenstall and Todmorden. 1906 – W Cook takes a hat trick of wickets three times during the season. 1906, 1907, 1908 – Burnley win the Championship in three successive seasons. 1907 – Burnley win the Championship with 34 points, the lowest number of points ever recorded. 1930 – J Boon takes a double hat trick in one innings. 1937 – Burnley score 202-2 in 74 minutes in response to East Lancashire’s 199-3. 1948 – C Maden takes 8 wickets for 6 runs against Haslingden. 1949 – C G Pepper, Burnley’s Professional, does the double of taking 113 wickets and 1075 runs, only three other League cricketers have achieved this. 1950 - Burnley do the double, winning the Senior Championship and the Worsley Cup. 1955 – the team are undefeated throughout the season, the only Club to do this without winning the Championship, instead becoming Runners-Up. 1955 – Burnley are the winners if the inaugural Holland Cup. 1956 – J E McCannon, Professional, takes the last 8 wickets for 14 runs, including a hat trick against Accrington. 1959 – Collie Smith scores 306 not out against Lowerhouse in the Worsley Cup, a new batting record for the competition. The 1964 title-winning side featuring Charlie Griffith. 1964 – Burnley win the Championship with 70 points, the highest number since the introduction of 4 points for a win. 1964 – Charlie Griffith takes 144 wickets, the highest number taken since the League commenced. 1970 – Neil Whalley scores 113 runs (including 13 sixes, 6 fours) in 46 minutes against Ramsbottom. 1975 – R Harrison establishes a new amateur record for the Club scoring 893 runs. 1977 – the match against Bacup sees the highest aggregate core in limited overs cricket, Burnley 271-4, Bacup 256-2. 1983 – Roland Harrison scores his 10,000th run for the Club. 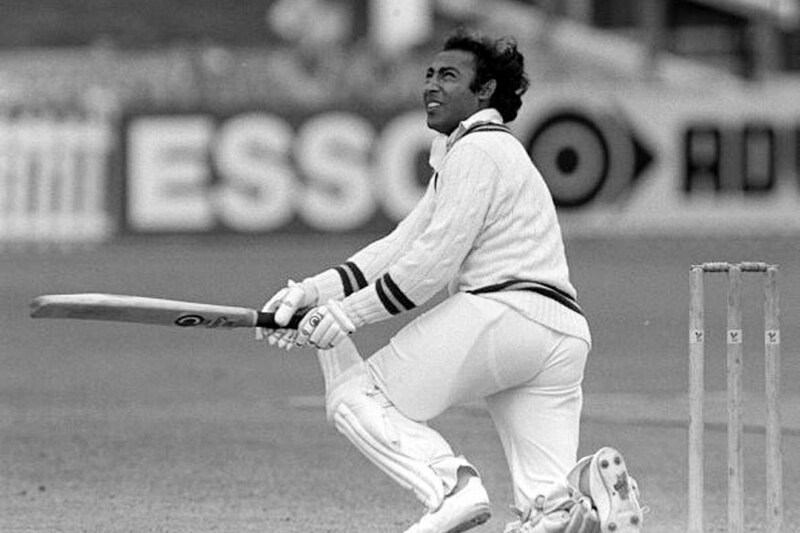 1984 – Mudassar Nazar sets a new batting record for the Club, scoring 1160 runs. 1993 – T Little and D Spencer each pass 3,000 runs on the same day against Church. 1994 – T Little achieves back to back hundreds against Haslingden and East Lancs. 1994 – Mark Harvey makes his debut for Lancashire’s First XI. 1995 – Jonathan Harvey, with 1,014 runs, sets a new batting record for the Club. The Pakistan international scored a club record 1,160 runs in the 1984 season and is still remembered fondly at B.C.C. 1996 – Peter and Michael Brown, father and son compile two century stands 123 v Nelson, 138 v Rawtenstall. 1998 – Peter Brown retires having made half centuries against every Lancashire League Club. 1999 – James Anderson represents England Under 17s. 2000 – Burnley’s Professional, Geoff Foley, scores three consecutive centuries. 2001 – James Anderson makes his debut for Lancashire County Cricket Club. In the same year he plays three Under 19s test matches for England. 2002 – James Anderson takes 50 wickets in his first season for Lancashire. 2003 – The Club’s Professional, Pierre Joubert scores 1245 runs. A new Professional batting record for Burnley. 2004 – Jonathan Clare becomes the youngest player to score a century in the Lancashire League. He is 17 years 10 months and 10 days. 2004 – Andrew McLeod and Simon Edmondson secure a new League record 7th wicket stand of 127 at Rishton. 2005 – Steve Holden takes 5 wickets in 13 balls against Accrington. 2006 – Jonathan Clare scores 161 against East Lancs, the highest ever score by a Burnley amateur in a limited overs match. 2006 - Burnley draw level with East Lancashire for the second highest number of Championship wins, following victory on the final day of the season. Bharat Tripathi lead Burnley C.C to Worsley Cup wins in 2013, 2014, 2015 and 2016. 2007 – In the Lancashire League Roll of Honour, Jonathan Clare wins the U23 Batting Award, with 695 runs in additions to being named Young Player of the Season. Burnley are triumphant in the Ron Singleton Cup and the Colne Floodlit Trophy. The team also reach the semi finals of the League T20 competition. Burnley share the Ivan Smith Award for Best Scorebox with East Lancashire. 2009 – Burnley are crowned T20 Champions. Vishal and Bharat Tripathi take Lancashire League Honours for batting and bowling respectively, with Bharat breaking Trevor Jones’ post war wicket taking record. 2013, 2014, 2015 & 2016 - Burnley are lead by Bharat Tripathi to four consecutive Worsley Cup wins. 2015 - Burnley made Lancashire League history by clinching the quadruple. The Ron Singleton Colne Trophy, T20 Cup the Fosters Worsley Cup and the League title all sat proudly in the Club's trophy cabinet. David Brown and Vishal Tripathi scored 1000 runs in the Club's most successful season to date. 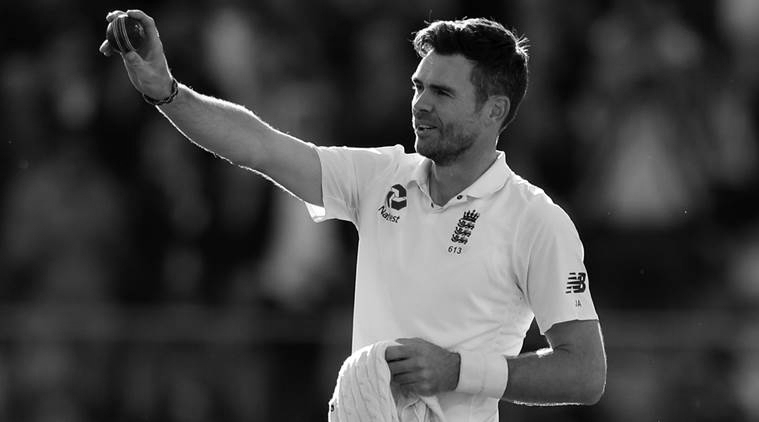 2017 - James Anderson becomes the first English bowler to take 500 test match wickets. The first English bowler to take 500 test wickets is a product of Burnley's youth system. The 2014 season saw Burnley Cricket Club celebrate its 180th anniversary of playing cricket. Formed at a meeting held at The Bull, at 8pm on 22 August 1833, the club moved to its present location at Turf moor in 1843 (before the football club), after playing in different locations around Burnley. The first recorded game was in 1844 versus a Bacup and Rochdale team who were unhappy about playing at Burnley’s Healey Heights ground but eventually agreed to play the game at Holme, a neutral venue (Paul Blakey was professional at the time). Other venues were tried over the next few years, a meadow where the Albion Inn stood, then to Greenhalgh’s Gardens near the old Gas Works, before the final move to Turf Moor in 1843. The number of matches taking place during this early period were not as frequent as we have now. Probably 10 matches a season, against teams like Preston, Blackburn, Skipton, Todmorden, Halifax, Oldham, Rochdale and Ovenden (matches against the latter were always a tasty affair). For some reason in 1845, internal politics perhaps, Burnley played its home games at Duke Bar before returning to The Turf in 1847. The 1846 AGM set the Annual Membership fee at 10 shillings (50p). Only members were allowed to play and only if fees were fully paid by 1 April after being proposed by 4 other members of the committee (a rule reinforced thanks to former second XI captain Jonathan O'Brien in 2013 without the additional proposal requirements). The first truly notable match was probably a three day game starting on 9th July 1868 which saw a Burnley 22 play an All-England XI. Burnley batted twice but still lost.